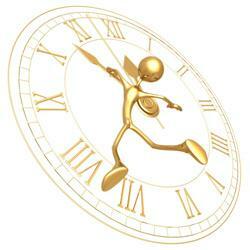 Your body has a built-in clock! Every organ in your body has a repair/maintenance schedule to keep on a daily basis. If you feel unusual at these times of day (headaches, inactive), you will know which organ is trying to repair the damage done to it, and these ‘feelings’ you are having are the result of the energy being expended to do these repairs. The more you know about your body, the easier it is to maintain your health so start paying attention to your body’s health clock and repair schedule to see if you can figure out what’s going on inside you.